I consider myself to be a quite the obsessive cleaner around the house. I actually enjoy doing chores such as cleaning, cooking, or washing carpets. However there is one task I hate to deal with doing - Laundry! Mostly I hate all of the folding and putting things away! It seems like no matter how quickly I do it there is always a ton more piled up and my husband is the pickiest about how I fold things (since he comes from a clothing retail background). But even on top of all that there is something I despise even more now. I cannot stand the smell of the front loader washers and it seems as though we have invited some musty odor into every load unless I load up on more detergent, fabric softener and even sometimes more bleach. Not only is this terrible for my sensitive skin but it can be pretty costly even when you make own laundry detergent. I have tried several different options to clean out this smell and have pretty much given up hope figuring sooner or later I will have to have the machine taken apart professionally and cleaned. I've been forced to search out either more options or stronger ones and lets be honest no one wants to mask one smell with another. That doesn't exactly get rid of the odor. As much as I like the pleasant smells of most air fresheners, I also want to get rid of the bad smells not just cover them up. But again I discovered a potentially new solution called Smelly Washer. When I asked them to participate in my St. Patty's hop they very quickly said yes and sent me over a bottle of their Smelly Washer and Smelly Towel. "Smelly Washer began in 2007 after our founder, Paul Flynn, noticed a need for something customers could use regularly to remove the stinky residue left behind when washing laundry in both regular and high-efficiency washing machines. In 2009, Ace Hardware Corporation invited Smelly Washer into their warehouse. It was the best profit-making product in Ace's laundry division for the next 2 years." 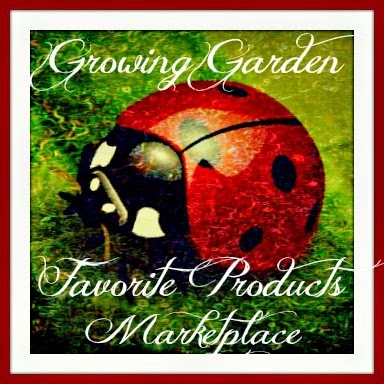 They have continued to grow since then as one of the number one sellers on Amazon and in other stores like Bed, Bath & Beyond. The directions tell you to fill the washer with water and a cap full of Smelly Washer and let it sit to eliminate the smell. 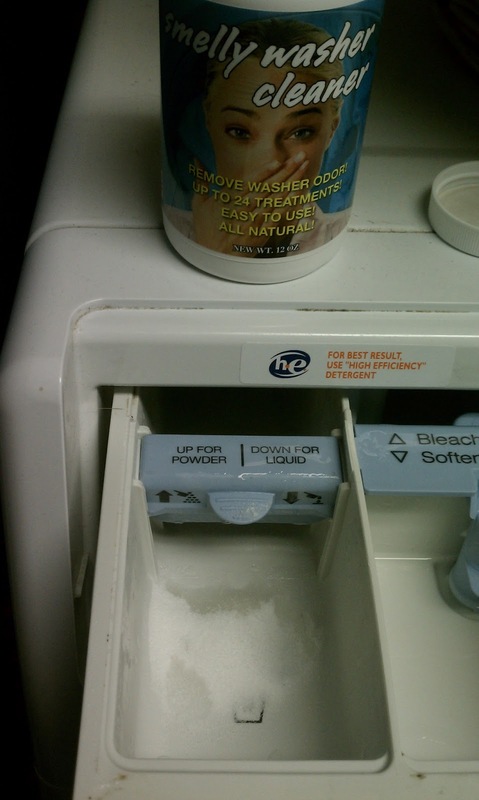 You can also use it in place of detergent as well as in addition. Well if you know anything about front loaders they energy and environmentally efficient in a way that they only fill with as much water as needed depending on the load of clothes you have inside. There is no filling it up with water and letting it sit. So this unfortunately did nothing for my front loader as I was forced to used it while running a quick wash cycle with no clothes inside. I still did not notice a difference to be honest when it came to smell. When following the second set of instructions which tell you to put a cap full directly into the detergent compartment, I felt a definite difference in the smell of my towels the next load after. I had, however, run the few wash loads prior. Again my laundry had less of the musty smell to it and no perfumy smell from one odor covering up another odor! I felt as though the Smelly towel had a definitely stronger smell and worked possibly a little bit better than the original but again this is more geared towards the actual clothing itself and not the washer and its components. Recommendation: Depending on your need for air freshening the laundry machine or clothing, I would recommend giving these a try. 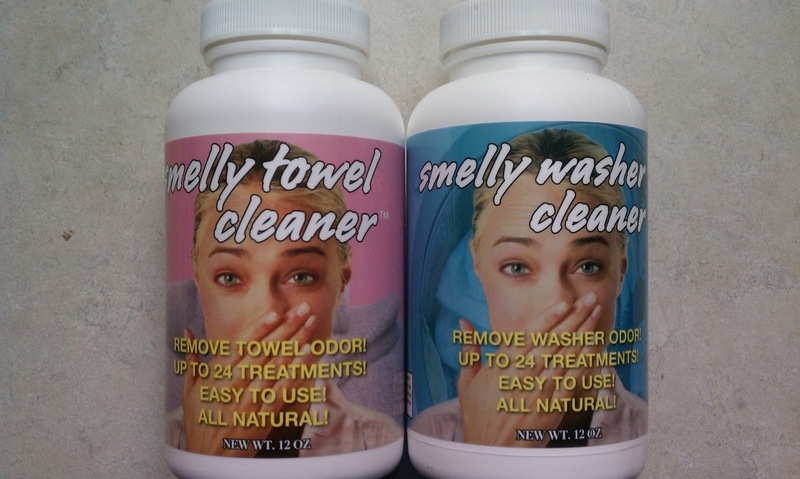 If you aren't one who loves the over powering smells of certain brands of detergents then these are for you! 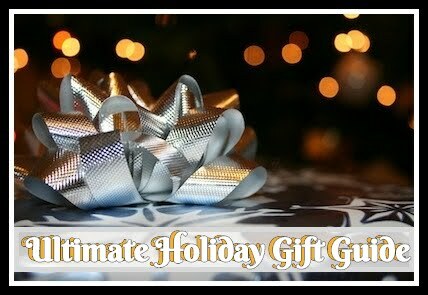 My only thing is these products are a little on the pricey side in my opinion so it depends on the price point you are looking and what your need for it really is as to whether it would be worth the purchase. I will say this I probably would not buy it again as I wasn't super impressed with the quality verse the dollar. 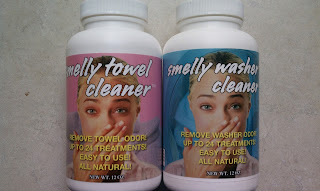 Giveaway: Smelly Washer is going to give two of A Lucky Ladybug's very lucky readers either a bottle of Smelly Washer or Smelly Towel of their own! 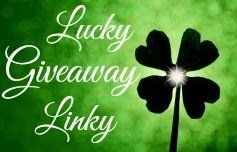 Look for this to begin on 3/20/13 as part of the "St. Patty's After Party" Blog Hop! I would love to win the smelly towels as my mom was just saying yesterday her kitchen wash towels stink and she can't get the smell out. I would love to win the Smelly Towels! We always seem to have this problem. I hate the overpowering floral scent from many detergents, but I also dislike the musty smell. This looks like a great way to get clean rather than covering up. I'd love to try this.